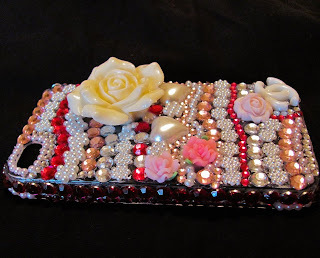 I'm getting slighlty bored with my phone case for my blackberry lately, so I decided to snoop around for some similar glam and girly ones! 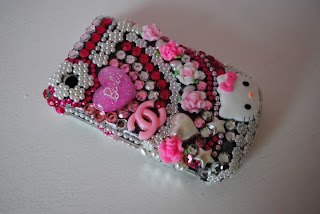 I love nothing better than tacky, over the top Hollywood glamour phone cases. Now I know some of you may disagree with me about this, but come on! I did a post a few months ago about getting the 'Hollywood Look' and having a glam phone case is like adding the cherry on the top! You have to admit that the Hollywood look is the dark shades, heels and the phone. I do not own any of these images, they belong to Encrusted phone covers. 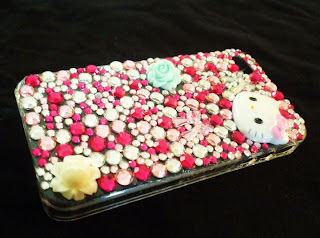 The best part is, you can custom the phone case to your liking and they cover a range of different phone brands. 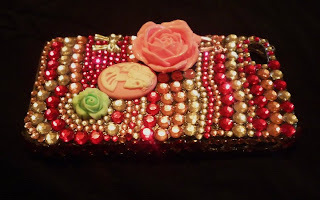 I really like that these cases are handmade, because it just makes you feel more unique because it's custom made. So why don't you have a look at the website and tell me if you see any you like! Wow! These are really colorful :). So darling...they would drive me crazy though!